California is known as the Golden State for a reason. The most populated and economically-powerful state in the US, California houses some of the nation’s best cities. This means that if you’re looking to make your big move to California, you have a lot of options to choose from. So many, in fact, that it can be a little overwhelming. That’s why we’re here to help. We know just how difficult it can be spending hours of research trying to find your new home, so we’ve done the work for you. Our research has led us to one of the best cities in California—San Ramon. From safety to education, San Ramon features some of the nation’s best statistics. Check out our comprehensive guide below for the five best reasons that you should live in San Ramon, California. Already In Love With San Ramon, CA? See More Homes For Sale! Moving to San Ramon is the right move for your children’s education. With one of the best public school systems in the nation, you can be sure that your child is getting a quality education that will prepare them for the next level. 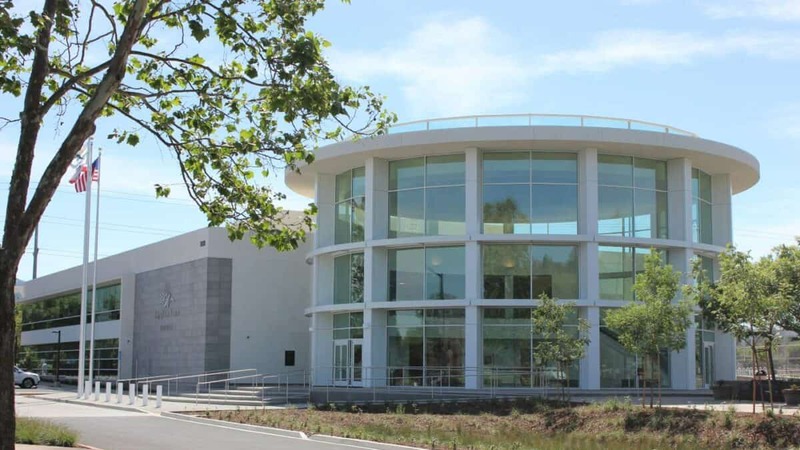 The San Ramon Valley Unified School District boasts a top-rated ranking. 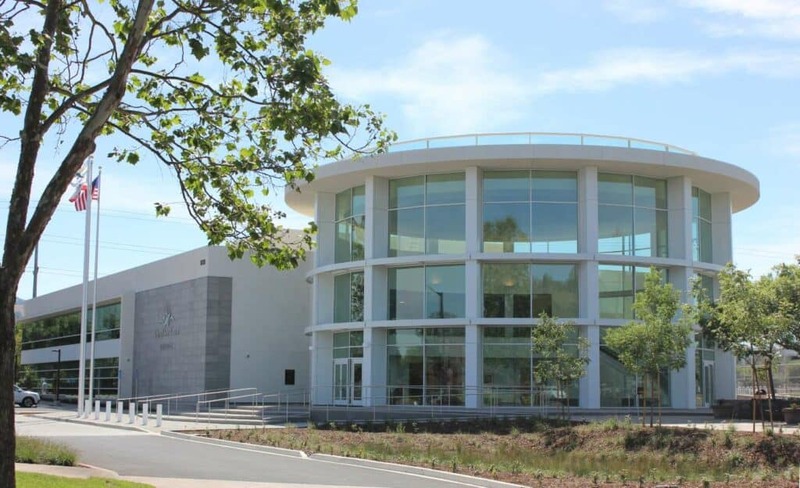 One of the strongest public school systems in California, the San Ramon Valley Unified School District enjoys generous funding. Four of the districts major high schools boast impressive graduation rates, with an average of 99% students receiving their diplomas. Even better, the school district has become well-known for its test scores, which consistently rank among the best in the state. With just over two thousand students, the school system enjoys ample access to modern educational resources. If you’re looking to make sure that your child is college-ready upon graduation, look no further. By choosing to live in San Ramon, you can enjoy greater peace of mind in knowing that your children are getting some of the best public education the state has to offer. In fact, San Ramon’s high schools are so good that they rank in the top 10% of the entire state. While education is important, public schools also provide an effective avenue to prepare children for collegiate and professional sports. And that’s where San Ramon really shines. In addition to its incredible graduation rates and test scores, San Ramon ranks in the top 3% of all high schools in California in terms of sports. Whether you’re raising the next Tom Brady or the next Michael Jordan, the San Ramon Valley Unified School District provides the opportunities your child needs for proper sporting development. We know how important your child’s education is to you—and we’re confident that you can get the quality of education your family deserves by moving to San Ramon. Not only can you be confident that your child will receive a top-quality education, you can be certain that they will enjoy a well-rounded experience. Ranking in the top 10% in both education and in sports for the state of California, San Ramon strikes a perfect balance between both worlds. With a graduation rate that blows out the national average, San Ramon’s school system makes certain that your child will be ready for the next level. And with fifty-three colleges within a fifty-mile radius of the city, your children will have the ultimate flexibility in starting their journey of higher education. I’d love to work with you to find the perfect home in San Ramon! Contact Me! Perhaps there’s no more important consideration to make when moving to a new city than its safety. Protecting you and your loved ones is understandably your top priority. And there are few places in the Golden State as safe as San Ramon. If you’re looking for a place where you and your family can live in peace, San Ramon should be at the top of your list. That’s because it does nearly top the list of the safest cities in California. Ranked the third-safest city in the state, San Ramon enjoys a crime rate that’s 72% lower than the rest of California. In fact, San Ramon is so safe that it outranks nearly half the cities in the United States. Where San Ramon truly shines is in its startling-low violent crime rates. In fact, if you’re looking for a city low in violent crime, you won’t find one better anywhere in the state of California. San Ramon boasts the lowest violent crime rates in the entire state, making it the perfect place for you and your family. With a violent crime rate of just .82 per 1,000 individuals, San Ramon is considerably safer than the rest of the nation in this regard. In comparison, recent government statistics show that the violent crime rate in the United States averages a whopping 20.6 per 1,000 people. This incredible statistic can be attributed to the hard work and dedication of the San Ramon Police Department. The San Ramon Police Department is one of the civic cornerstones of the city. Dedicated to helping the city achieve the highest levels of public safety, the SRPD works overtime to keep their community safe. Most San Ramon residents agree. Thankful for the city’s low crime rates and fast police response rate, they give credit to the city’s hard-working police department. So again, what’s the bottom line? If you’re looking to make sure that you and your family are protected, it’s time to consider San Ramon. With a crime rate that rests far below the national and state averages, San Ramon is one of the nation’s safest cities. And these statistics are all-the-more impressive considering the crime rates of communities of a comparable size. By moving to San Ramon, you can help make sure that you and your loved ones are safe. It can be difficult to make a move to a new city—especially if you’re having trouble finding a job. Fortunately, it shouldn’t be hard finding a job or continuing your career in San Ramon. This economic powerhouse boasts an incredible number of in-town job opportunities—meaning that you won’t have to make long commutes to find quality work. With some of the nation’s leading companies headquartered in San Ramon, you can enjoy great flexibility in finding a position that works for you. Let’s examine some of the amazing job opportunities that you can find by making a move to San Ramon. For starters, San Ramon houses the Corporate HQ for Chevron, the west coast HQ for AT&T, the HQ for 24 Hour Fitness, and the San Ramon Medical Center. Because of this, over 70% of San Ramon’s workforce may be classified as white-collar workers. Unlike other cities where you may be roped into manufacturing or other menial jobs, San Ramon offers one of the nation’s highest rates of white collar work. This makes San Ramon one of the best cities in nation for those looking to advance their careers. With opportunities from some of the nation’s leading companies, you can be confident that you will find a job of your liking. Even better, with an average salary of $84,285, San Ramon far outpaces the national average in terms of pay. For contrast, this impressive income is 57% higher than that of the national average. As you can see, moving to San Ramon could be the right financial decision for you and your family. With a high percentage of white-collar positions and an impressive average salary, San Ramon could offer you the chance you need to better take care of your family. Looking for the perfect home in San Ramon? I’d love to work with you! Contact Us! Once you secure that high-paying job, it will be time to do a little shopping. And in that area, San Ramon has you covered. With a wide variety of shopping options, San Ramon is the perfect place to spend an afternoon with your family—or even that special someone. Try out one of the many impressive boutique and clothing stores that are scattered throughout the city for the perfect shopping experience. With so many options to choose from, you’ll never be bored. Walk through the new City Center or through one of the many shopping districts to find everything you need—and more. And with San Ramon’s incredibly-low crime rates, you can feel comfortable letting your child and her friends explore the city’s malls for a weekend full of fun. For those looking for the best-possible experience, consider checking out the new City Center Bishop Ranch, San Ramon’s best for high-end retail. Equipped with a full-sized movie theater and several fabulous restaurants, the new city center is the perfect place for people of all ages. This all goes without mentioning the fact that with your new, high income, you and your family will be able to enjoy the best shopping experience of your lives. The quintessential city, San Ramon gives you the flexibility you need to raise a wholesome family—with good education, pay, safety ratings, and shopping and entertainment centers, there’s nothing that San Ramon doesn’t offer. To top it all off, San Ramon boasts one of the most picturesque views in the nation. No matter where you are in San Ramon, you’re never too far away from scenic views, natural trails, and perfect outdoor activities. In our modern technological area, it can be difficult finding time to connect with nature—but not in San Ramon. Surrounded by rolling hills, numerous beautiful parks, and hiking trails, San Ramon boasts world-class views that are sure to awe the nature lover in everyone. With so many outdoor activities in close proximity, you can make sure that your family makes time to get away from addictive mobile technology. Studies have shown that being outdoors can help boost your mood and even strengthen your immune system. Now, you and your family can enjoy the outdoors like never before. With fair year-round temperatures, San Ramon allows you to spend time outside no matter the season. So what makes San Ramon’s scenery so great? First, it stands in stark contrast to the sprawling urban metropolis that is the city. A bustling urban area flanked by Mount Diablo and Las Trampas Regional Wilderness, San Ramon offers the best of both worlds. Whether you want to spend a weekend camping with your family or shopping at the mall with friends, you can do both in San Ramon. With so many options, it’s hard to resist the allure of this top-ranked Californian city. Over 72,000 people have come to make San Ramon their home. And this number is steadily growing as more and more families are recognizing the benefits to living in this area. Come see everything San Ramon has to offer—and maybe even take a selfie or two—as you explore its wonderful natural landscape. Choosing the right city for your family isn’t a decision you should make lightly. But that doesn’t mean that you should spend countless hours scouring the Internet sorting through America’s many different cities. We did that for you. And San Ramon sits near the top of our list of the best places for families to live in. This safe, economically-sound city offers all the opportunities and the resources you need to provide for your family. With a public education system that ranks among the best in the state in education and in sports, San Ramon has what it takes to prepare your children for the next level. Even more importantly, San Ramon boasts one of the lowest violent crime rate in the entire state of California and has an overall crime rate better than nearly half of all cities in the nation. San Ramon’s top safety and education rankings have made it the home of several well-known corporations and have allowed for the city to become a white-collar haven. And with the city’s bustling shopping centers and quiet natural surroundings, you can enjoy the best California has to offer. So don’t wait. If you’re looking to move, make sure San Ramon is at the top of your list. Here to save you thousands in buying and selling your home!